(Scott Applewhite | AP file photo) In this June 21, 2017, file photo, special counsel Robert Mueller departs after a meeting on Capitol Hill in Washington. A new Tribune-Hinckley poll shows that most Utahns continue to support the ongoing investigation. Republicans, though, oppose it. Washington • A majority of Utahns support the special counsel’s ongoing probe into whether President Donald Trump or his team colluded with Russia during the 2016 election, though most Republicans oppose Robert Mueller’s investigation, a new poll shows. The survey, by The Salt Lake Tribune and the University of Utah's Hinckley Institute of Politics, shows the divide over the Trump investigation, with nearly all Democrats favoring Mueller's work, unaffiliated voters backing it and most Republicans steadfast against it. 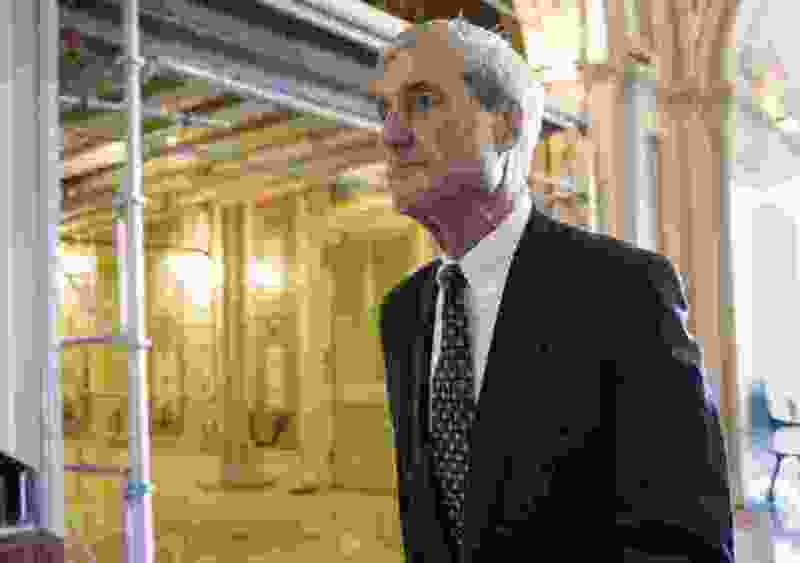 In fact, 35 percent of self-described Republicans said they strongly oppose the Mueller investigation. Actually, while there was no special counsel at the time, there were multiple congressional and administrative investigations of President Barack Obama; that includes a special House committee set up to look into the deaths of four Americans at a consulate in Benghazi, Libya. But Nancy’s take isn’t typical of Utahns. The Tribune-Hinckley poll shows 53 percent of the state’s registered voters support, to some degree, the investigation, with 39 percent against it. Linda Itami, a Salt Lake City resident who says she’s a registered Republican but has been a Democratic delegate previously, says she wholeheartedly backs Mueller’s probe and believes it’s vital for the country. She’s also not a Trump fan. Itami adds that she liked Trump on his NBC show, “The Apprentice,” but not as president. National polls have shown similar results on Mueller's probe. A recent CNN poll showed that 87 percent of Americans, of both parties, want to see what Mueller’s probe finds and want his report to be public. Only 9 percent, the poll showed, oppose the report being made public. The same poll found 48 percent of respondents believe Trump or his campaign colluded with Russia in the 2016 election, with most Democrats saying it happened and most Republicans on the opposite side. The special counsel’s office declined to comment on this story. Jason Perry, the head of the U. 's Hinckley Institute, says the poll shows that even in deep-red Utah, one of the most Republican states in the country, voters want Mueller to keep digging, no matter what he finds. The Tribune-Hinckley Institute poll was conducted Jan. 15-24 and included 604 registered Utah voters. It has a margin of error of plus or minus 4 percentage points.